​Dr. Wakefall and I visited every classroom during the first week of school to discuss the Mason Way expectations. During this visit we talked about what it means to be RESPONSIBLE, READY, and RESPECTFUL here at Mason. When discussing what it means to be Respectful, we talked about treating each other with kindness and keeping our hands and feet to ourselves. We also shared that if someone does something to hurt your body, your feelings, or the things that belong to you, to please let the teacher know. We then read the book, "Know and Follow the Rules" by Cheri Meiners. For this week's lesson we talked about "What a School Counselor does here at Mason ES" and "The Way I Feel." The students put together a puzzle where each piece described what a school counselor does. The six pieces said: 1. I Care about every Student 2. I am here to Listen. 3. I help students feel happy to be at school. 4. I wear many hats, which means I have many difference jobs. 5. I can help solve a problem. 6. I will help you reach for the stars and achieve your goals. The students also colored the paper puzzle and took it home. The book, "The Way I Feel" was also read. This described various feelings that a school counselor might talk with students about. The students were asked, "How would I know that you are Listening?" Some responses were...eyes on the teacher, bubble in the mouth, hands and feet to self, nose points forward, and ears are open. We practiced listening by listening to an animal sound and then raising a hand if they knew the animal. What is important here is to NOT call out, but to wait until they are called on. This takes several rounds, but they eventually get the idea to stay quiet and listen. We also read the book, "Howard Learns to Listen" by Howard Binkow. To end the lesson the students were given a coloring sheet where they had to follow my oral directions. For example, I would say, "Look for the cow and color it purple." ​ 5-Point Anger Scale: We discussed each point and then the students made each one of the faces that were shown. It was discussed that the angrier we get, the more likely that we would make a bad choice. When we get up to the numbers 3-5, it is important that we calm ourselves down to be safe. Sometimes we may need the help from adults or friends around us. We read the book, "When Sophie gets Angry- Really, Really, Angry" by Molly Bang. Students then identified where she was on the 5-Point Scale throughout the book. To end the lesson, the students received an Anger Shield that listed 10 ways to calm down. Each one of them was discussed. ​The students were asked the following questions. "What is Tattling?" "How does it feel to be tattled on?" And, "Are there times when we should tell an adult about something that worries us?" We then discussed the difference between Tattling and Telling. If someone is trying to HELP someone, then they are TELLING. If someone is trying to get someone in trouble, then they are TATTLING. We also read the book, "Tattling" by Joy Berry and discussed each of the brother's actions during the story. To end the lesson, the students moved across the room to the TATTLING or TELLING sign based upon a given situation. Each of them were discussed as well. This lesson is my all time favorite lesson in kindergarten! And it is one that I have found will stick with the students for years to come. I asked the students what are some rules that they know of in the classroom, the hallway, the cafeteria, and the playground. This then lead me to talking about the Golden Rule- To Treat Others the Way You Want to be Treated. For this lesson, I read a book called "The Story of the Seven Sour Pickles". 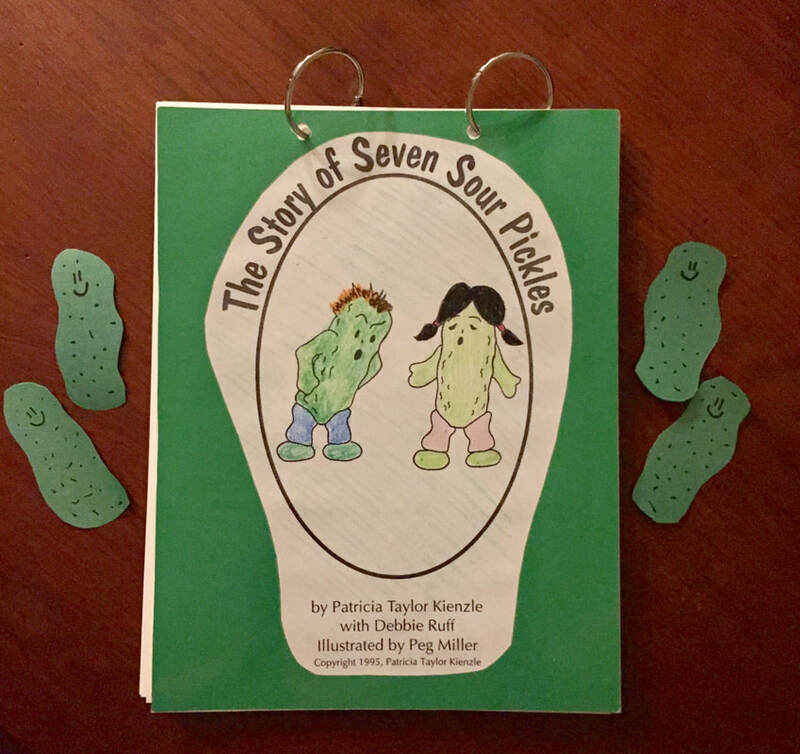 This story describes 7 Sour Pickles that Bully, Tattle, Tease, are Bossy, are Rude, Talk all the time, and Complain. Once these "Sour Pickles" learn the Golden Rule of Friendship, they become 7 Sweet Pickles. To help the students further understand this lesson I show a magic trick where a rabbit named Rudy follows the Golden Rule and is able to make a lot of friends. To end the lesson, I ask each student individually if they would like to be a "Sweet Pickle" or a "Sour Pickle." If they say they would like to be a "Sweet Pickle", I then give them a small laminated "Pickle" to remind them to be a "Sweet Pickle." ​The students learned that differences make us unique. 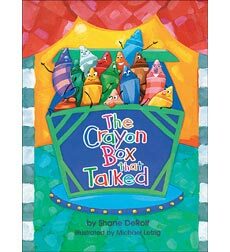 In the book, "The Crayon Box that Talked", the crayons didn't like each other until they got to know each other. When they realized that each crayon was special, they learned to get along. The students then played a game where they went to one side of the room based upon two choices. This was to help them get to know their classmates more. We also discussed that one group was not better than the other because of their choice...just different. The students then colored a "crayon" anyway they wanted to reflect their uniqueness. They were then put up on the wall by the media center.